You can use our free lawn care contract forms as templates to help you run your lawn care business. Note: For practical purposes you could make copies of the Lawn Care Schedule to take on-site to serve as quick reference for the work required at various clients. 1. The Lawn Care Schedule outlines the scope of the work and is referenced in and forms part of the legal agreement and must be attached thereto. 2. The Free Lawn Care Contract (featured lower down on this page) contains the legal terms and conditions of the agreement. There's one more important aspect to pay attention to when you're starting your own lawn care business: whether you have the applicable business licenses in place and whether you have the right insurance as required by law. Please refer to our page on Home Business Insurance for more information and guidelines. Important Note: For a variety of other free legal forms and guidelines for your business please visit our main Independent Contractor page. according to the scope of the work detailed and priced on the Lawn Care Schedule which is attached hereto and forms part of this Lawn Care Contract. 1. Any additional work required by the Client or proposed by the Contractor which is not specified on the Lawn Care Schedule shall be quoted for separately and when completed added to the invoice. 2. Invoices shall be issued at the end of every month with payment due within 15 days from the date of invoice. Returned checks for whatsoever reason shall incur a $20 fee and overdue accounts shall accrue interest at a rate of ____% per annum. The Contractor reserves the right to suspend services if payments are not made on time. 3.1. The Contractor shall provide all labor, equipment and supplies required to perform the services and undertakes to properly maintain all equipment so that work is performed timeously and to a professional standard. 3.3. If services cannot be carried out by the Contractor on any specified day, such a service shall be re-scheduled as soon as possible by mutual agreement, failing which the cost of all missed services shall be deducted from the invoice. 4.1. The Client need not be present during service calls and hereby grants permission to the Contractor and shall facilitate entry to access the property on scheduled or otherwise agreed service days during the local hours of 8am to 5pm. 4.2. The Client shall be responsible for the removal of any objects e.g. toys, furniture, pet waste, rubbish etc. that will hinder the Contractor in performing under this agreement. 4.3. The Client shall keep all pets secured inside a building or fenced area and shall keep people away from the Contractor's area of work for the safety of all parties concerned whilst the Contractor is performing services. 4.4. The Client shall notify the Contractor in writing of any plants that are particularly rare or are a collector's item and their approximate replacement costs. The Contractor reserves the right not to perform any services in close proximity to such plants. 4.5. The Client shall be responsible for the day-to-day care of the lawn as recommended by the Contractor and which are not part of the services outlined on the Lawn Care Schedule. 5.1. The Contractor shall not be held liable for damage to items on or below the lawn surface which are not clearly visible or marked such as cables, wires, pipes or sprinkler components. 5.3. The Client shall not be liable for any damage to the Contractor's equipment or any injury or illness sustained by the Contractor and his/her employees or sub-contractors or a 3rd party in the performance of this service and the Client shall be indemnified against all claims arising from such damage or injury or illness. 5.4. The Contractor shall not be liable for the poor health or lack of performance of turf or plants beyond the scope of the service(s) contracted for, or in any event where the Client does not provide appropriate or proper care for turf or plants. 5.5. The Contractor shall be liable for any damage to the lawn or plants due to the incorrect application or choice of pesticides, herbicides or fertilizers. Liability shall be limited to the replacement of the plant(s) by the Contractor. No party may assign any of its rights or delegate or assign any of its obligations in terms of this Lawn Care Contract without the prior written consent of the other party. This Contract and Agreement shall be construed, interpreted and governed in accordance with the laws of the State of ___________ and should any provision of this Contract be judged by an appropriate court as invalid, it shall not affect any of the remaining provisions whatsoever. Signed at __________________ on this _____day of ___________________20____ by the Client who warrants his/her authority to enter into this agreement. Note: Every page of this free lawn care contract and any amendments to the terms must by initialed by the Client and Contractor with full signatures at the end. If you have experience running a lawn care business, please contact us with any suggestions on how we can improve the content of our free lawn maintenance contract. 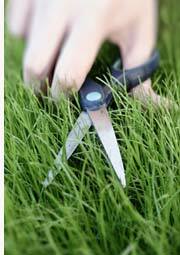 Our free lawn care contract forms are intended for informational purposes only. Professional legal advice must be sought to compile your legal documents to suit your specific requirements and to comply with the laws in your jurisdiction.